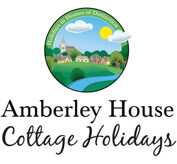 Amberley House Cottage Holidays is part of Guy Leonard & Company in West Sussex. We offer quality self catering accommodation to rent from city apartments to rural cottages, Sussex farmhouses and country homes.across Sussex and the South Downs. Our offices are in Pulborough, right on the boundary of the new South Downs National Park and being local means we can offer clients a thorough knowledge of all the properties we market together with a detailed knowledge of this beautiful county. We work with our second homeowners by offering them a flexible service that is very competitively priced. We allow owners to use their homes on their own terms and work with them to help maximise their income opportunities through effective online and offline advertising.